Debt isn’t something you jump into blindly. To make sure you consider all the variables, grab a pen and paper, and analyze its RIFF (Repayment Terms, Interest Expense, Future Income, Future Situation). How long will it take to pay off? Will it travel with you to your next duty station? If you need to stretch out the repayment terms just to afford the payment, it’s probably not a good idea. Usually, the longer you pay, the more you actually pay. What’s the total cost of the debt going to be by the time it’s paid off? (refer to above question). Compare the purchase price to the total of your future payments and you’ll probably be astonished at how much interest you’re actually paying. 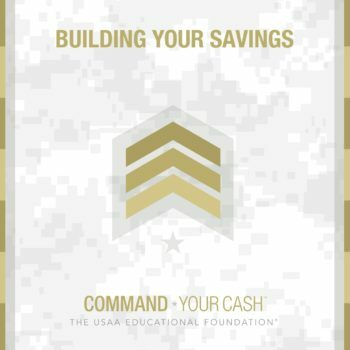 Even if you can afford your payments today, you should be fairly certain that you’ll be able to continue making them until the debt is paid off. What will you do if you can no longer afford the payment some day? What looks like a good decision today might not look so good 3 or 4 years from now. Before taking on loans for cars, motorcycles, ATVs, boats, etc. 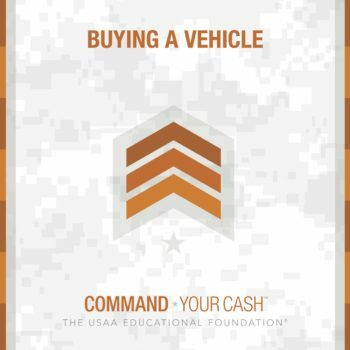 as a service member, think about how you might handle a PCS to a location where the vehicle isn’t practical; especially if you might owe more on it than it’s worth at that time.